Traveling during this time of year is always harder than the rest of the year - between packed airports, security and the anxiety of getting everyone to your destination in one piece without losing anyone or any luggage is rough. I'm also so paranoid when it comes to forgetting things on trips. The second I leave my house I always second guess whether I remembered everything or not and most of the time I end up forgetting something anyway. Then worrying about the airport losing your luggage is another story all together! Needless to say, the time leading up to your vacation can be really stressful. But making sure you have all of your essentials and more will help so much in relieving that pre-vacation stress. I created a list last year of every travel necessity I could possibly need and throughout the year it's helped me to not forget anything - or so I like to think until I realize that my tweezers are missing or I forgot earphones. 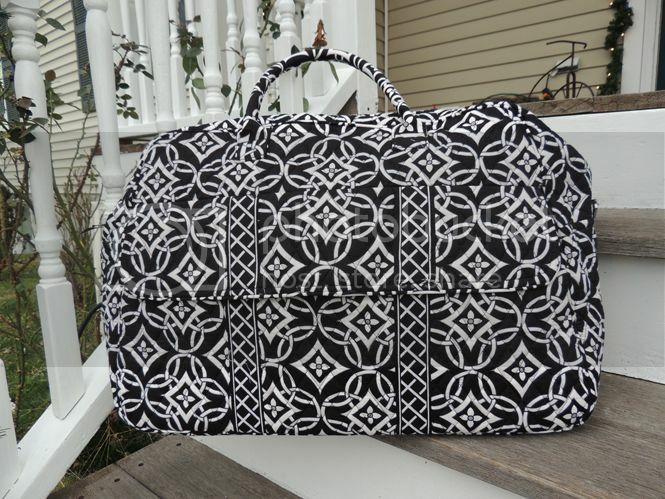 Not only is it important to have your essentials with you but traveling in style is important too, thanks to Vera Bradley that has become the easiest part! For my carry-on bag(s), I try and take all of the things I may need during the trip and things that I couldn't live without. This is the perfect place to carry all of your travel-sized essentials too so that you can leave full sized beuaty products and liquids in your checked luggage. Remember: TSA requires liquids to be in a container that is under 3.4 ounces. Placing all of your mini liquids in a clear plastic bag will also help you get through security faster! Some things that I always have in my carry-on straight from my packing list are: Makeup (eye liner, mascara, lash curler, etc), hair ties, a mini hair brush, tooth brush, mini tooth paste, extra contacts, eye drops, nail file, nail polish, Q-tips, hand sanitizer, chapstick, over the counter medicines I may need, makeup removers, deodorant, travel sized shampoo/conditioner, headphones, iPhone/iPad charger, laptop and roller ball perfume. This is the Vera Bradley Grand Traveler Bag in Concerto and I love how chic and simple yet beautiful it is! I'm using this as my carry on for an upcoming trip to Florida next month and it gives me such relief already knowing that it's 100% carry-on compliant in size. It is SO roomy inside too! There's even side pockets for your phone and tablet which I love so that nothing gets broken, scratched and I can get to my electronics with ease and without having to take everything out of the bag. Vera Bradley is one of my absolute favorite brands and one I've been using for a long time. I remember my first real brand name bag that I bought myself was a mini Vera! Now her style has evolved in so many ways and I have so many favorite patterns and styles in the always growing collection. If you need some last minute gifts for anyone on your list, Vera Bradley and this Grand Traveler bag are the way to go! The back of the Grand Traveler has a sleeve option that gives a space for placing it on top of rolling luggage. I cannot stress how important getting a bag that has this feature is! There have been endless times that I've been walking through an airport trying to juggle all of my bags - if only then I knew about this trolley sleeve! There is nothing worse than trying to manage a ton of bags and worrying constantly about them falling over. This past weekend we went to Albany for my sister Daniela's gymnastics competition and I used this bag for the first time to carry everything I needed. Traveling with a gymnast is no easy task - I took TONS of hair products like hair spray, gel, extra hair ties, clips and bobby pins and that was just the start of it all! I got so many compliments on the Grand Traveler too and it was the perfect bag to take with me. I chose the bag in Concerto because it matches everything and is such a pretty and simple pattern. Up close, there are even little silver/gray details which make the bag all the prettier! Vera Bradley's mission is to be a girls best friend. With these gorgeous, lightweight quilted cotton handbags that come in such a variety of sizes, shapes colors and patterns, you're sure to be able to find a new bag from each seasons collection! I do so much of my shopping at Vera Bradley and I've loved every purchase. What are you favorite carry-on essentials for trips? This post is sponsored by Vera Bradley and Her Campus Media. All opinions are my own. Thank you for supporting the brands that make Daily Dose of Design possible! Great ideas, and I LOVE the print on the bag! That is really nice. I love my vera Bradley bags. The pattern of that one is super cute. I love the bag ! Vera Bradley always has really cute accessories ! I'm always first in line at ther sales ! I usually go for the more colorful Vera Bradley. But I love this one. I've never used a Vera Bradly bag but I really like this. I love the black and white and simple yet detailed design. Beautiful. The black and white is lovely. I like the once that are colorfull ....Great gift ideas. 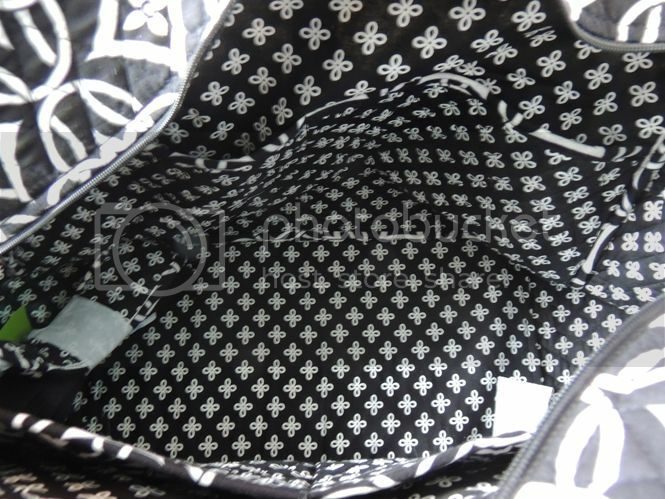 I love that this Vera Bradley bag is a classic black and white. It's a great go-to carryall! I absolutely love the print on that bag. I always brings plenty of lip balm on trips. Does it protect all the stuff inside nicely? I would love to see more of the inside so I can see how organized it is? I'm definitely looking for a new travel bag for winter. Lovely overnight bag! It's really very spacious and I love that it has pockets, a lot of it inside. That makes organizing things easier. I have a ton of travel bags from VB that I just adore. 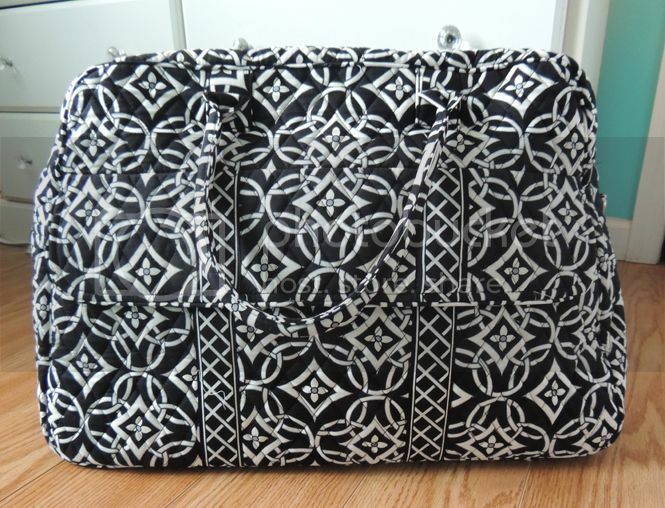 Vera Bradley carry ons are the best! You're right about tht nuisance of a bag that's tipped over. This one is nice and I like the classic VB material. Awesome idea! I love my Vera Bradley duffle. It's perfect because I can fold it up and stuff it in my checked bag going and use it for things that won't fit in my checked luggage (I'm a big shopper) when I'm coming back. Such a pretty bag! 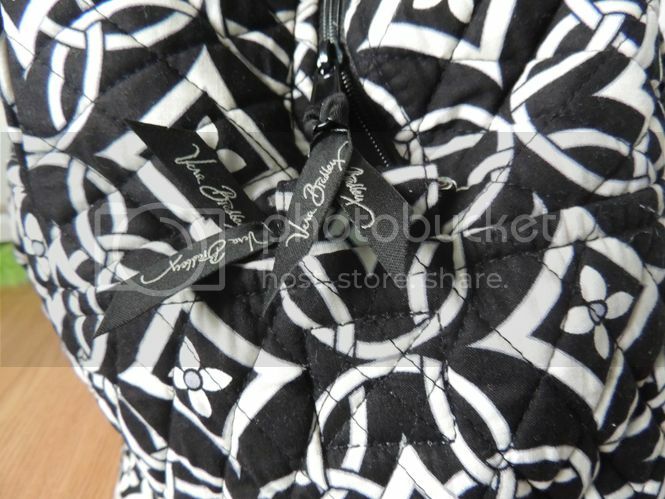 I have owned a few Vera Bradley's before and I am convinced that I should get myself new ones. They are beautiful and really serve their purpose. So cute! I love Vera Bradley! This bag would be so perfect when I travel. Oh I just love Vera Bradley. I've had my eye on this one for awhile, but I have a zillion Vera Bradely purses. What a great bag! We at www.deuxbella.com travel/fly about 12 times a month on average and your essentials list is spot on! Oh my gosh, I was JUST looking at the Grand Traveler in an outlet store last month. What a roomy, perfect size that is! What a beautiful bag! 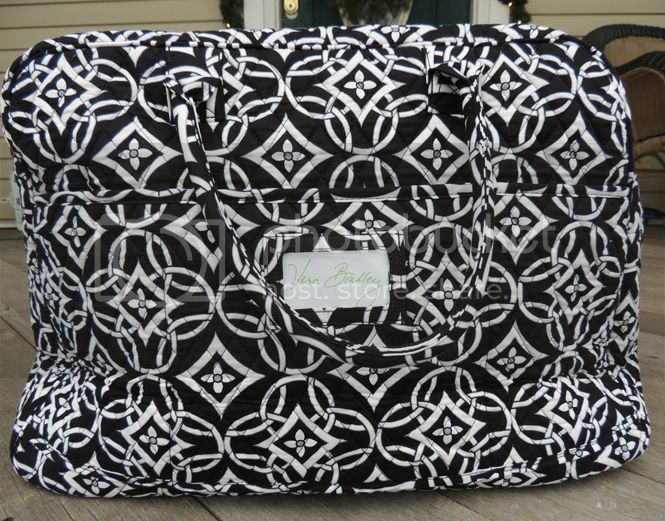 Normally I don't like Vera Bradley as they make me think of something my grandma would use but this black and white design is beautiful. I've heard a lot about Vera Bradley lately. I will have to take a look. the black and white is so versatile! I LOVE this Vera!!! What a great print! 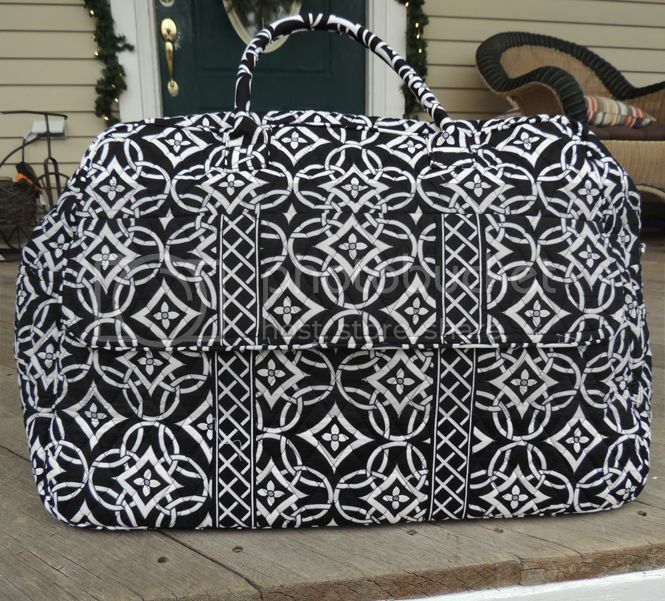 I have a Vera duffle bag that I have used for years, and it is perfect for travel! I love Vera Bradley! I love this pattern and the bag looks great. That is such a pretty bag! I love the classic black and white colors. First of all, gorgeous gorgeous bag!!! Second, little perfume vials are my lifeblood when traveling. SO so much easier than lugging around big bottles! Leather bags and travel bags gift idea for employee are the most preferred option by corporates. They are most preferred because corporate leather bags possess some distinct qualities. The user can carry them easily. 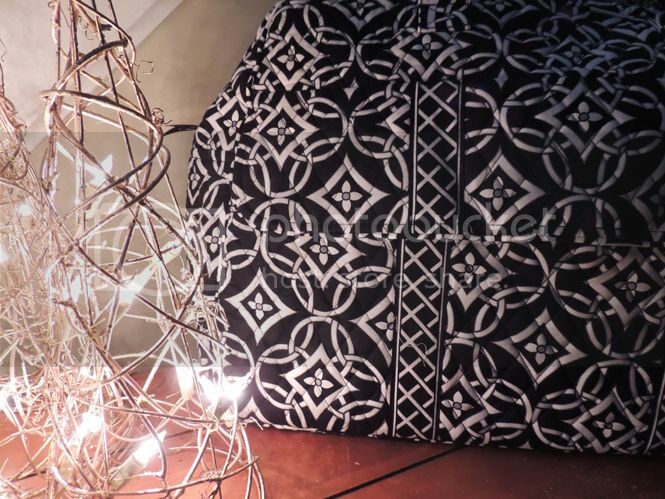 They are available in a wide range of designs and colours. They are also available within a reasonable range. By looking online, one can also get the gifts at competitive process. You can get a broad range of leather bags exquisitely designed leather bags in a range of shapes and sizes to complement you with ideal class and style. It takes gigantic learning to create this bit of craftsmanship. Me and my friends have thoroughly enjoyed this blog.